Huawei CFO Meng Wanzhou, whose arrest in Canada two Saturdays ago increased tensions between the U.S. and China, has been freed on bail. The amount of the bail agreed to by the judge was $10 million Canadian Dollars, the equivalent of $7.5 million U.S. Dollars. According to Bloomberg and CNBC, the bail was met by her husband and four former colleagues who together pledged cash and home equity. Meng was jailed based on a U.S. warrant for her arrest after an investigation allegedly found that she had defrauded banks to help Huawei do business with Iran. That action would be in violation of U.S. sanctions against the country. The U.S. charges that Huawei used a small Hong Kong based tech firm called Skycom to do business with Iran. The U.S. had requested no bail for the executive, who still faces extradition to the states. As part of the bail agreement, Meng will surrender her passport, wear a GPS tracking device, and will have a security team beside her whenever she goes out (paid for by Meng). Police will also make unannounced visits to her residence. Her family does own homes in Vancouver, where she was arrested. UPDATE: President Donald Trump told Reuters today that he would intervene in Meng's case with the U.S. Justice Department if it helps the U.S. close a trade deal with China, or if it serves national security interests. The arrest threatened talks between the U.S. and China to end a trade war between the two countries. In addition, the U.S. ambassador to China, Terry Branstad, was chewed out this past weekend by China's Vice Foreign Minister Le Yucheng. Le also threatened Canada by warning of "grave consequences" if Ming wasn't released. Ming is the daughter of Huawei's founder. Despite being called a national security threat by the U.S. government, the company is the leading provider of networking equipment and is the second largest smartphone manufacturer in the world after Samsung. They paid cash, so they will get it back if she shows up. New way to earn money fast. It will be fun to see the Chinese reaction to this with the thousands of Americans that has factories in China, including the president and his daughter. She should be put in jail. The question should be "Why?" Because Huawei steal Apple's second place as Top Global Smartphone Manufacturer. LMAOOOO LMAOOOO! Yep, that's the only thing peaceboy is upset about. He didn't even know Iran was a country, until this article. Up till now, he thought it was iRan, an Apple running shoe. Whoa, thats Minimal compared to Huawei's worth as a company. 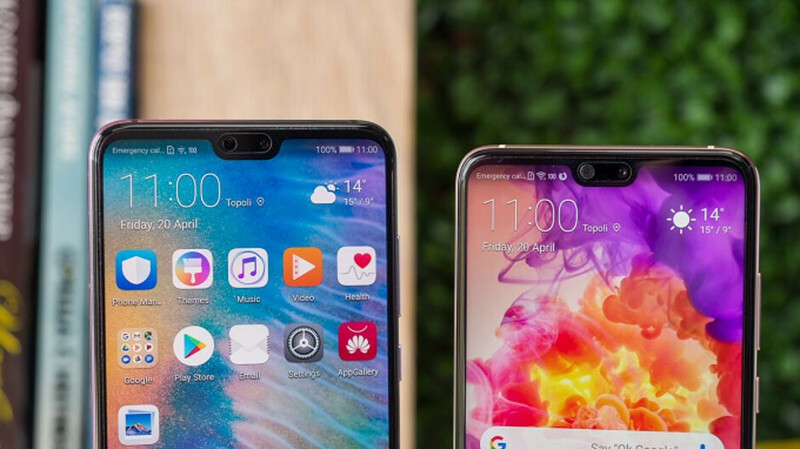 It's equivalent to more or less 10k huawei Mate 20 units sold @ around $800 to $750 each. If I were herI will never go back. Not worth the embarrassment caused by being arrested just of allegations that is yet to be proven. The US has it in for Huawei. Tim Cook has sent his attack dog after Huawei to stop them. I would tell the US to drop dead. You dont get to police the world. We are a company and we have a right to make mone The US wants every country to be technology impaired so they can have control. Just like Kim should UK ld continue his Nuclear program. Everyone needs Nuclear weapons so the auS and Russia cant hold the world hostage. Leave Huawei alone. Until the auS proves their claims I see nothing but maybe reasonable suspicions. Trump is gonna run America into the ground and ruin the relationship we've had with ChinaChina it is now time to pull thr plug on all US electronics and take over. China threatened Canada openly. The population of China dwarfs the us and Canada by billions. Sit your butts down Canada and US, before China comes and handles it business. Please post proof that Tim Cook was in any way involved with the arrest of the CFO of Huawei, otherwise stop with your idiot conspiracy theories. He doesn't have any. He'll blame everything on Apple, he would even blame them for the Holocaust and argue with you using alternative facts, as real facts mean nothing to him. Strategic, your mom called, time to take your milk and medicine. Chinese tourists should skip Canada altogether. Hears some of the cool s**t I’ve read regarding Chinese business elite these past few days: 1) Apparently, you can maintain four separate passports at once, if you’re baller enough. That’s pretty dope! Illegal as all hell... but still dope. 2) In China, many wealthy entrepreneurs have body doubles in order to avoid potential prosecution for criminal behavior. Yes... you read that right... f**king body doubles! That’s some 007 type s**t right there. This may not have much to do with the actual article or f**kface orange fatboi, but I thought it was interesting nonetheless.